…And look at it. It’s not the current squad. Without too much trouble one can pick out the departured, the injured and the guys who are unlikely to ever get a minute of first team play due to the vagaries of the game. And then there are the potential departures (or one very big one) in the January transfer window. We do need to add in a couple of new players of course, but still, the resulting group is smaller. It’s a tight unit for sure. Squad rotation, respecting players’ fitness issues–keeping them rested and hungry or letting them play themselves back into shape–and, of course, getting acceptable results (which mean “nothing but wins”) probably makes Arsene a bit dizzy himself. Luckily, Would-be-Wengers don’t have such issues as they’re–by their very nature–always right. Suggested line-ups for each match run the gamut. Do we play our best 11–a slippery notion at best–in every game? That’s certainly an appealing notion for those whose focus extends only to RIGHT NOW–and winning the quadruple. Others will concede that there’s a need to prioritize the Premier League and that we must rest our best players in the lesser competitions, sometimes to the point of putting out some very inexperienced guys. 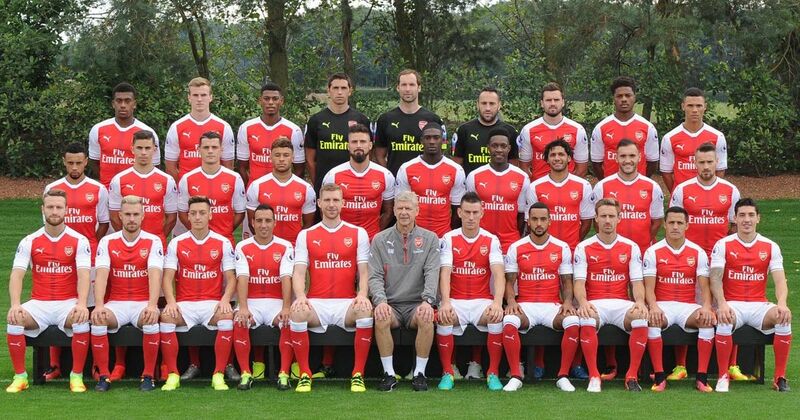 In the end, for better or worse, Wenger is the one who decides who starts and who dresses (in kits vs suits). To me–and I will freely admit that I’m a “What Can I Learn from Wenger” type–I see some interesting patterns beginning to develop. Injuries and more players out than in over the summer transfer window are worries, but a potentially easier schedule this autumn–despite the longer travel associated with Europa League play and the Thursday to Sunday turnarounds–means that I’m sensing an opportunity for some real squad building with the smaller number of first team players. What’s your take? Having done match previews with predicted 11s (plus subs) for a while, it seems pretty easy these days to pick a starting line-up–especially for the league matches–although, I must admit, Wenger has been surprising me with one or two of his choices each weekend. No Alexis (nor Ozil) at Chelsea seemed bold (if not suicidal) and then starting the Chilean vs Doncaster in the next match was also a head-scratcher, for example. I’ve always been skeptical regarding “Weng-uries,” but we’ve done well enough since the close of the transfer window with bromides such as, “Alexis is working his way to full fitness,” and “Ozil has a little problem with his knee.” I think things should get clearer as the days get shorter, but a real rotation seems like it’s beginning to formulate. In lieu of trying to predict the line-up for tonight’s match in Belarus, I present the players I think will be our regular first 11 in league matches (those listed first) and others who will likely go in the midweek games (listed in brackets). That’s quite a few question marks, especially as it’s been reported that several additional youth players will be traveling for tonight’s match. Over time, however, as the injured and sequestered return, some of the question marks should be replaced by some strong names. Iwobi, Welbeck, Chambers, and Coquelin shouldn’t be out too long, while Cazorla and (maybe even) Debuchy returning might be seen as more iffy. Who are the up and comers whom we might see play sooner than later? Who am I forgetting or leaving out? Bottom line: who would you put in your first 11s for the league and midweek matches? The question marks in my lists would suggest that full rotation isn’t possible at this juncture. I wonder, however, especially after trying to watch our stale but ultimately successful performance last midweek in the Carabao Cup vs Doncaster Rovers, if we don’t need a first 11 player (or two, or three or four) in the midweek efforts to give us our best chance at getting the needed results. (Again, wins only, please, probably say most Gooners). Even if Wenger needs to mix and match a bit, there still seems a reasonable opportunity, I think, to keep players both sufficiently rested and reasonably sharp, while building some good combinations in both 11s. Your mileage may vary, of course. Finally–and I feel this is something very few long-time football observers seem to think about–but something that seems evident (in jaw dropping proportions) for fans of other sports–are there any considerations about the length of the season and trying to peak at the right time? Does–or should–Wenger protect his best players early in the season so that they are primed to play their best football as we get into the new year and the competitions move into their final phases? I believe he should, but then again I’ve always tried to heed–and actually been inspired by–AW’s mantra, that we shouldn’t be “slaves to the moment.” Is long term thinking something supporters might indulge or do we pay the (high) price of admission in order to live (and die) with each match as it comes? A Dutch friend of mine often says, “O Gaat” (one game at a time) and it probably makes a lot of sense. Nonetheless, thinking about the longer term, in my view at least, also seems critical. HT ….. there are quite a number of interesting thread lines in your post. My comments would be randomly selected. Wenger has clearly said that the PL is the priority. I agree with him. He has also said that we would want to win on all fronts. I again agree with him and do not perceive any contradiction in the two statements. What he is saying, as I understand it, is that we will give our best in all competitions as long as any does not prejudice our performance in the PL. In practical terms this means rotation of players with the sight always set on presenting our most formidable team (including players’ state of fitness or freshness) for the PL games. We must not allow the fact that Manu won the Europa League last season to make us take our eyes off this ball. Also winning the EL can’t be easy especially as teams like Dortmont and A. Madrid are already promising to join the fray and the FA scheduling does no favors to the PL teams in contrast to other leagues. With our eyes on the ball we can’t help but keep conducting our Europa games with heavily rotated sides. Two weak points in our “rotated sides” are our wing back positions where our 1st teamers Bel and Kola don’t have any recognizable covers. Am already morbid about Bel getting injured as concerns the 1st team. Do we buy a cover for him this winter window? Maybe Chambers might serve. IMO, le Coq would be excellent there. I hate our buying as cover. Buying should be for improving the team. Hi all.. Hi 17ht.. Great post.. Yes Wenger Will mixed the team with some youngsters.. but still already steady ones.. Although He said PL is the first priority.. but lose to the “Gottam city” (Batman) in UEL will give some bad effect to the team.. So all newcomers that Wenger bring will fill the bench.. as he said so..
First, we need Monreal.. Do we really have Monreal backup..?? Dasilva may come in our last 20 minutes..
Second, Sanchez will play.. He loved playing.. and no one.. not even Wenger can stop him from playing.. Sanchez didn’t want to bench unless injured..
And last.. Can we believe Nelson and Niles.. for our wingbacks..?? Hope so.. hehehehe..
Wenger has a tough selection task in his hands. Does he dare use a player 3 times in 6 days? Without our 1st team players we are weak at the FB or WB positions. Bel is an untouchable for me. Kola can be risked as Nacho can stand in for him. If there’s any more player that can be risked with 3 games in 6 days it’ll be Mustafi. Cheers Seventeenho for a fine post. The league is often won by playing the same 11-14 players game in game out. You get that winning, unbeatable unit with the few rather than the many, it seems. Arsene has the opportunity to play the same 11-14 players in every premier league game this season – with a bit of luck on the injury front – which is a huge bonus. The Europa League will help to keep the rest sharp, so all positive for me. The question marks will disappear when the injured return, and I reckon Ramsey or Iwobi are Mesut’s replacement (with Coq as Xhaka’s replacement and Melneny as Rambo’s replacement). Eris, just to say you made a very good comment re Xhaka at the tail end of the last post. Spot on! 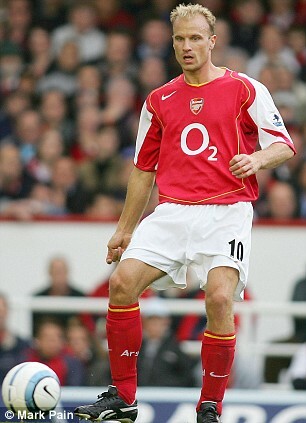 Speaking of midfielders, Eris is spot on about Wenger’s view of what he’s looking for in MF. To me, it’s been obvious (for years) that he wants ball players which is VERY different than the pure DM types so many long for. To me, having that sort of player is actually a luxury as more bodies are needed in attack (you know, where you go if you want three points per match rather than just one…) as long as there’s space for them. Additionally, what (TF…) is the purpose of playing 3 (or is it 5…) at the back if you then add in a “pure” or “sitting beast” of a DM? Part of the reason we can play attacking space-hogs like Ramsey and Alexis at the same time is that we have space creators (or guys happy to use the gaps others leave behind…) like Ozil and Xhaka out there, guys who are happy to stay (or drop) deeper and use their exquisite (left) feet to pick out runners further forward. That’s just my view, of course, and plenty will find it as baffling as I find those of the folks who call them rubbish or want them out of the team. Wow.. Willock for CM and Wilshere as LAM..
3 youngsters play and 7 on bench.. what a team.. hehehehe..
Or we play 3-5-2 formation? And Wilshere do Ozil rules? As for the game, it won’t be an easy ride especially as we will have a much changed team with a few young lads. We will need to ensure defensive stability and some steel and guile in midfield, just so we keep things on an even keel. We also have to be dangerous upfront, which is where Theo and Nelson will come in. I think it will be a back 3 of Mustafi, Mett and Holding. With the way the manager was speaking about Maitland-Niles, he is likely to be in the middle to allow Jack a more forward role. Given the personnel, we should play with a variant of the 3-5-1-1. A victory is all we need here. COYG! Henry, are you saying the team sheet is out already? Crikey! I forgot it was an early kick-off. I would have missed this game. So, Maitland-Niles and Nelson at wing back, even though the manager eulogized their attacking qualities to no end. Well, that’s Wenger for you, cannot be predicted. BATE are a good technical side, capable of long periods of possession play while also offering a counter-attacking threat. Mikhail Gordeichuk, who starts on the right flank, tops the goalscoring charts in Belarus. Montenegro international Mirko Ivanic, who wears the No 10 shirt, is a creative, intelligent and two-footed playmaker who assisted Nikolai Signevich’s headed equaliser in the 1-1 draw against Red Star Belgrade with a lovely right-wing cross. Hi Eris.. Yes we play 15 minutes from now.. So we will play 3-5-2 formation.. Great.. Hope we get a great result.. for I wish this formation will be ours for long term.. hehehe..
Who’s the person here who thinks we’re overestimating Wilshere?